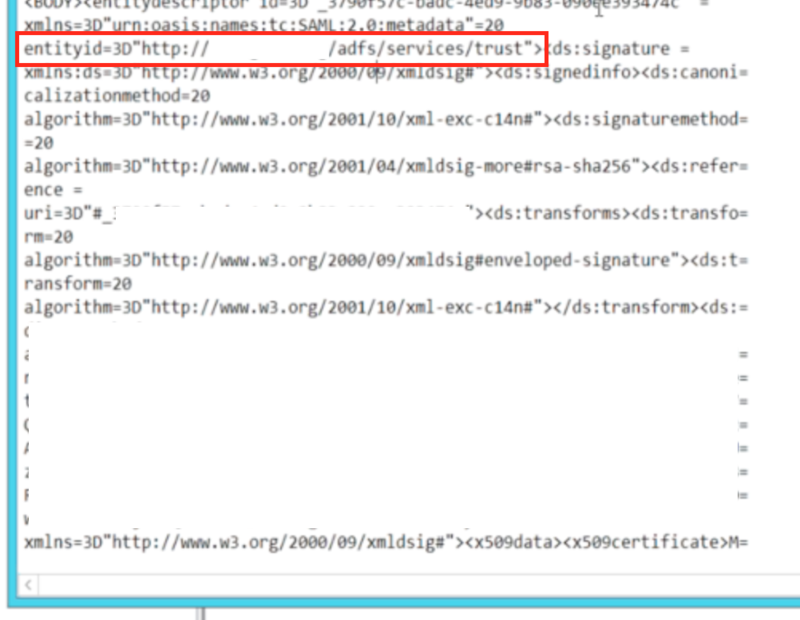 Microsoft's ADFS is a common SAML provider. Here are some screenshots showing the basic config items in ADFS to make it work with CrushFTP. 2.) The SAML Provider URL was pulled from the meta XML file. The IDP redirect URL is slightly different as is the SAML issuer URL. 3.) You need a new Relying Party Trusts configuration...we named ours "CrushFTP". Add the URL pointing to the CrushFTP server. 4.) Make sure the Endpoints tab is configured too pointing to the CrushFTP server. 5.) 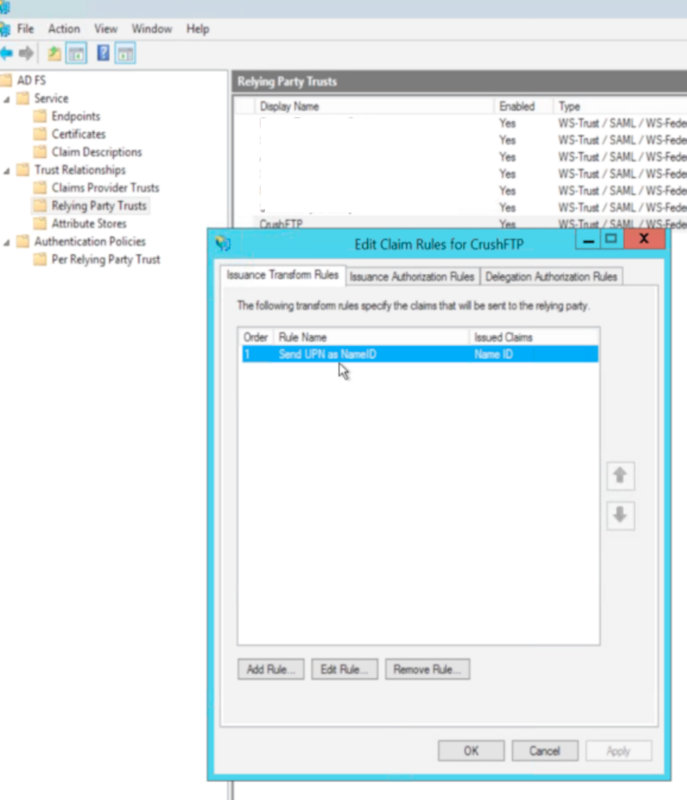 Use the add claim wizard to add a claim configuration on CrushFTP. 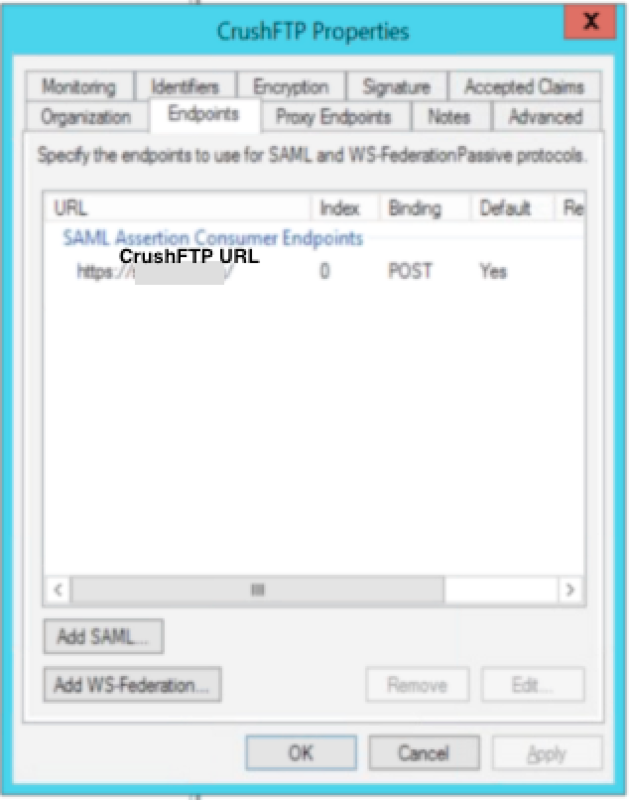 This part is what triggers the SAML: "?u=SAML_SSO&p=redirect"